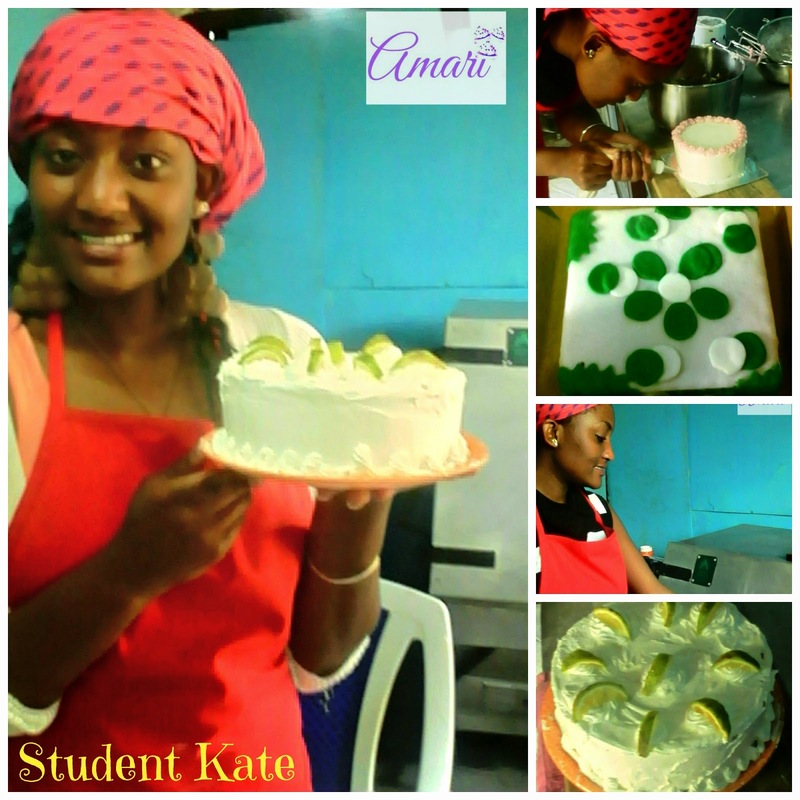 We love our Amari bakers and bakerette students - We're showing #AmariLove! We've had many baking students this year and I'm so happy to have met such wonderful people. I feel it necessary to highlight them and their amazing work; they amazed and inspired me and continue to do so as they continue to join the classes and learn how to bake. I must say that I didn't know that teaching people how to bake would be so inspiring and fulfilling and it is an honor to continue doing it. 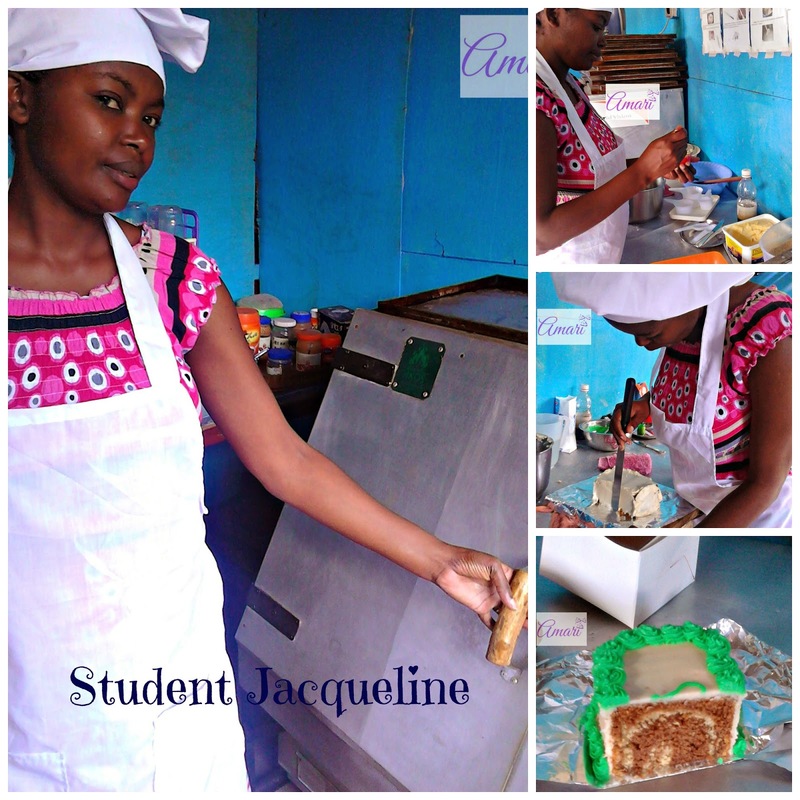 Student Jacqie Njeri took two classes: Basic Cake making & Decoration and Bread-making and Pastries. We had fun learning how to bake and decorate cakes as well as making scones and pizza. 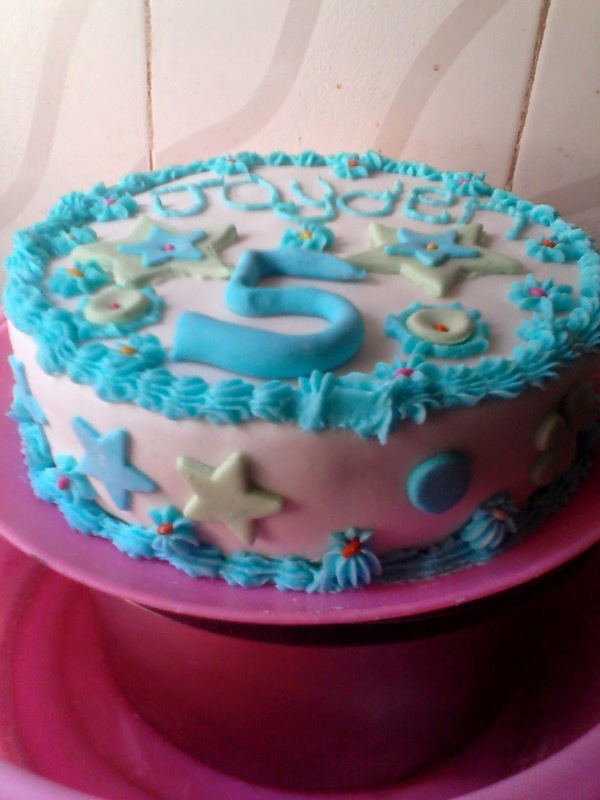 She also learned how to make fondant and practices at home. She's improving very well based on the pictures she's sent below. Home practice by Student Njeri - amazing ^_^! 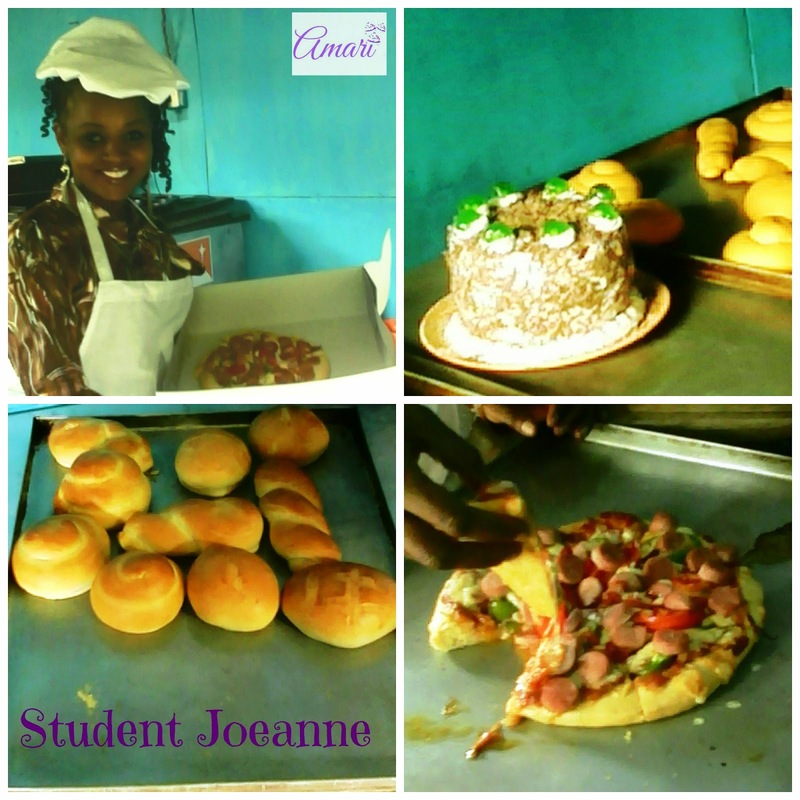 Student Joeanne Ngina has joined us for refresher courses for Black Forrest cake, scones and pizza. 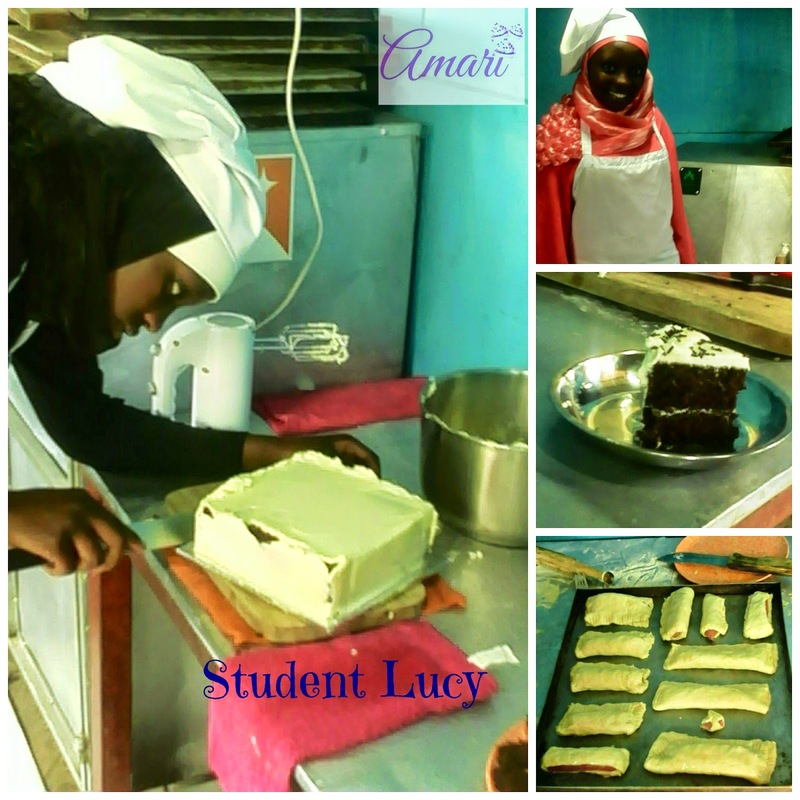 She loves baking and is currently planning on starting her own bakery in Kitengela. We wish her only the best! 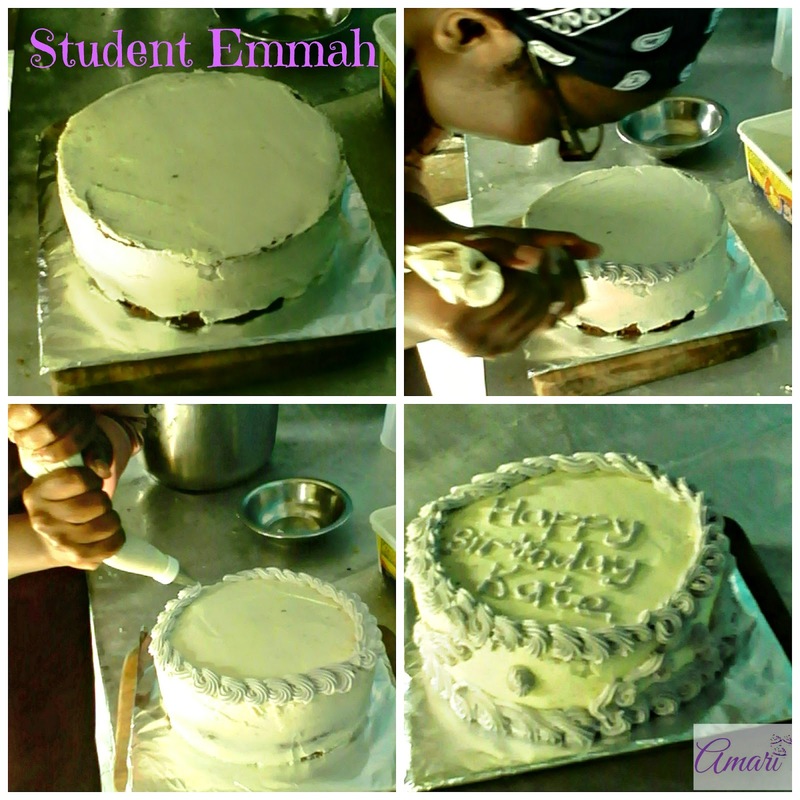 Student Emmah wanted to learn how to decorate cakes and she learned very fast. She made beautiful cakes and we're very proud of her! 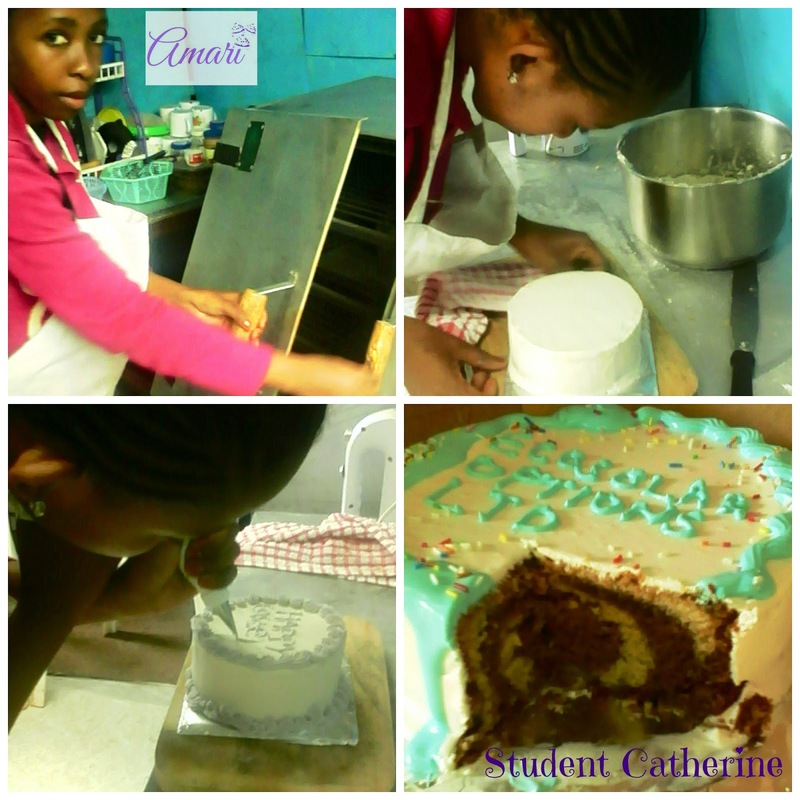 Student Catherine learned how to bake cakes and decorate them in 5 days! She was a newbie and by the time she was done she was an official Amari Bakerette ^_^! 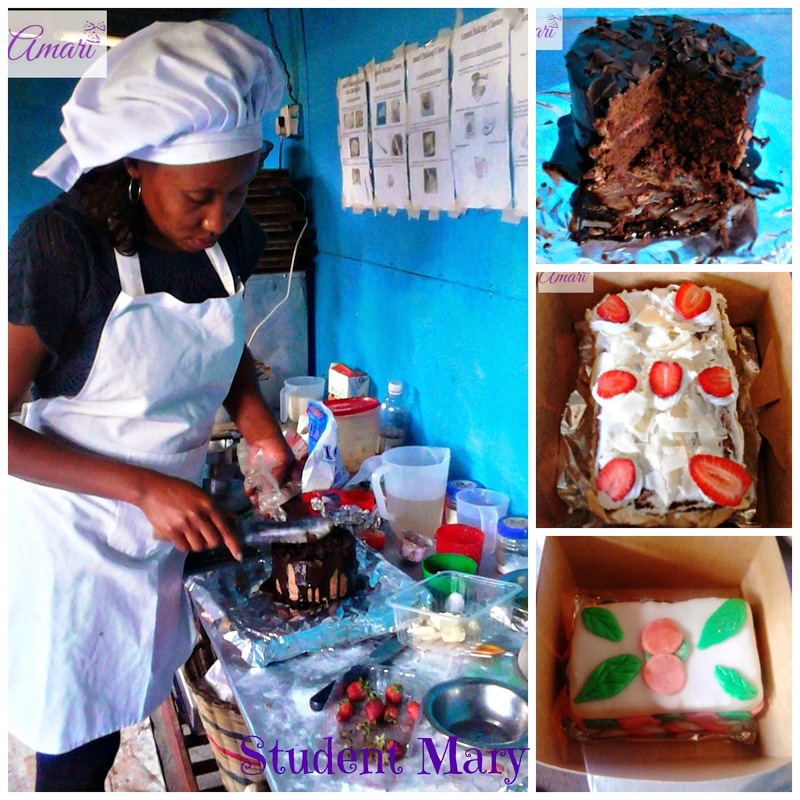 Student Onesmus came to learn how to bake cakes and decorate them all the way from Muranga County. 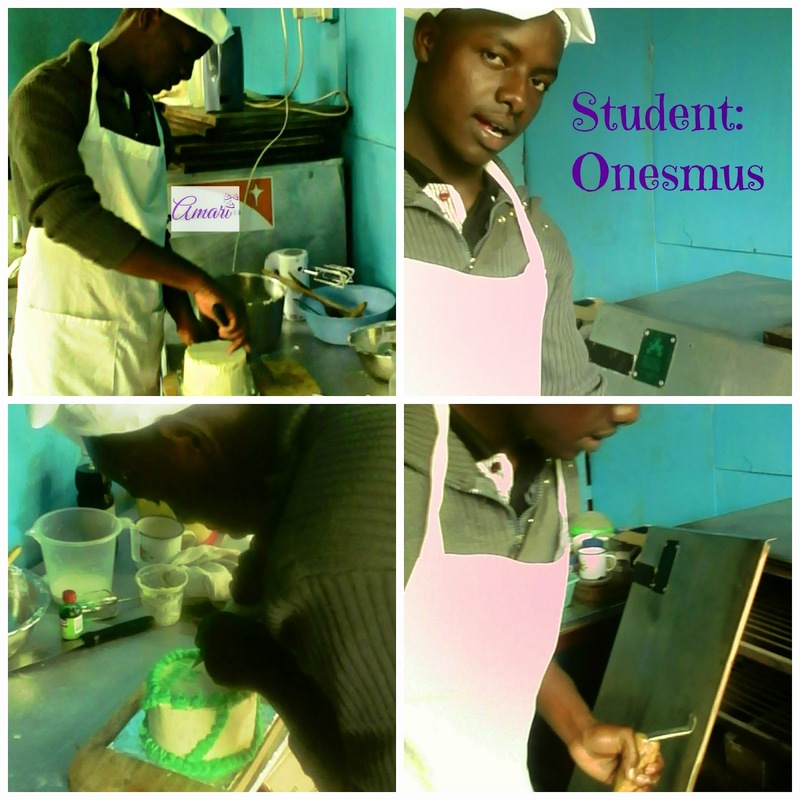 He wants to start a small baking business in Muranga soon - Kudos Onesmus! Student Lucy was our first Baking Business Start-up Expert course client - she bought a Cookswell Charcoal Oven, learned how to bake cakes and start a baking business. She has started her small bakery business called Binti Lucias Cakes and she's doing us proud in Kiambu county. If you're anywhere near there, order some cake from her! Student Kate joined our Combination Cake making & Bread making Course and she had lots of fun. She learned how to bake cake and decorate with royal icing and fondant; as well as scones & pizza. 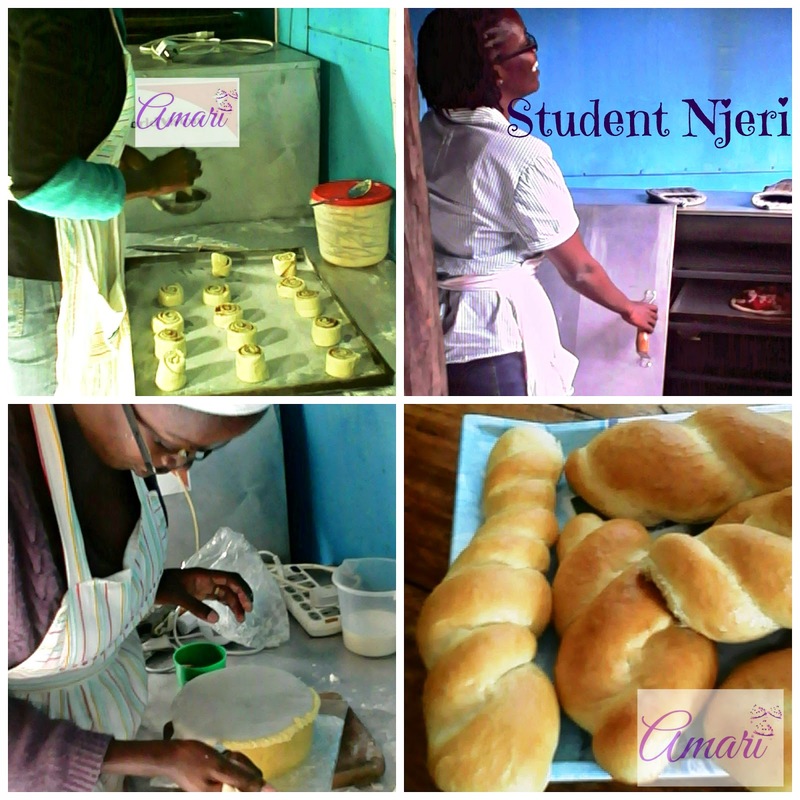 Student Wanjiku joined our Bakery Business Training 2-day Course and got tips on decorating cakes, baking scones and learned how to start a business as well. She is quite the business woman and has started a home-based small baking business. She also sells textiles - you can check them out on her page Lucia Africa Designs. We are wishing her all the best and happy baking. Student Mary took our Intermediate Baking Course and she was able to make decadent mouth-watering goodies. She has also started a small home-based bakery and will be expanding by next year - we can't wait, we're very excited for her ^_^! Student Dephy joined the Intermediate baking and decorating class and had fun learning how to decorate Black Forrest cake among other delicious baked goodies. Student Jackqueline joined us through a Rupu offer we ran in October and she learned how to bake cakes and decorate them for the first time. She wants to be an amazing home-baker and we wish her the best ^_^. 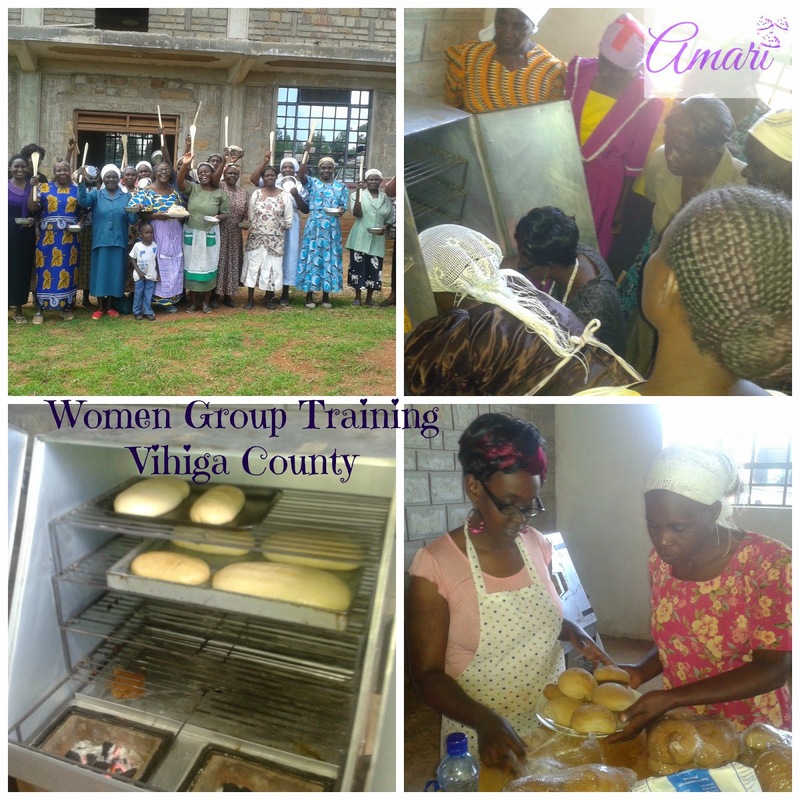 I went for a Women's group training for 3 days in Vihiga county. The training was funded by the TAK foundation to empower widows to learn skills that will help them earn income through baking projects among other activities. It was an unforgettable experience meeting the ladies, teaching them how to bake and learning about their small business ventures. We wish them all the best ^_^. Those are a few of the students that have joined our classes. If you feel inspired enough to join our classes and learn to make amazing baked creations, feel free to visit our Baking Classes page for more information. You can also call or text: 0707557091 to book classes. You can also email at: amaribreads@gmail.com for more info on our Baking Business Start-up Training courses - or Click here to find out more information on our business Masterclasses. 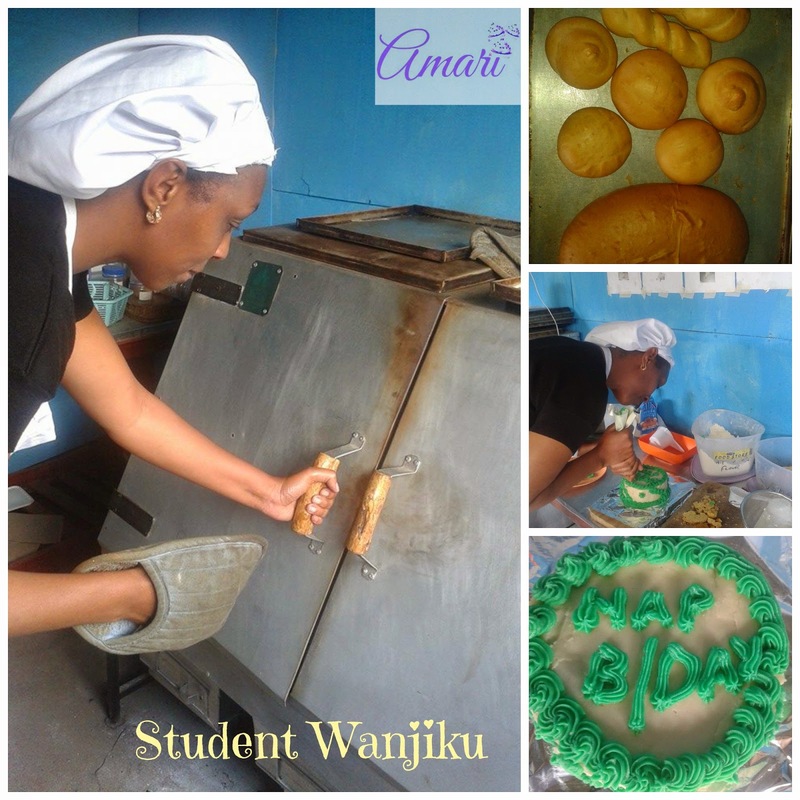 Am proud to be one of the beneficiaries of the Amari baking classes. learning from the best in the industry. coming back for intermediate classes soon. thankyou! !